Recently I went back home to Sulphur/Lake Charles for the first installment of the Louisiana Winter Beer Festival. 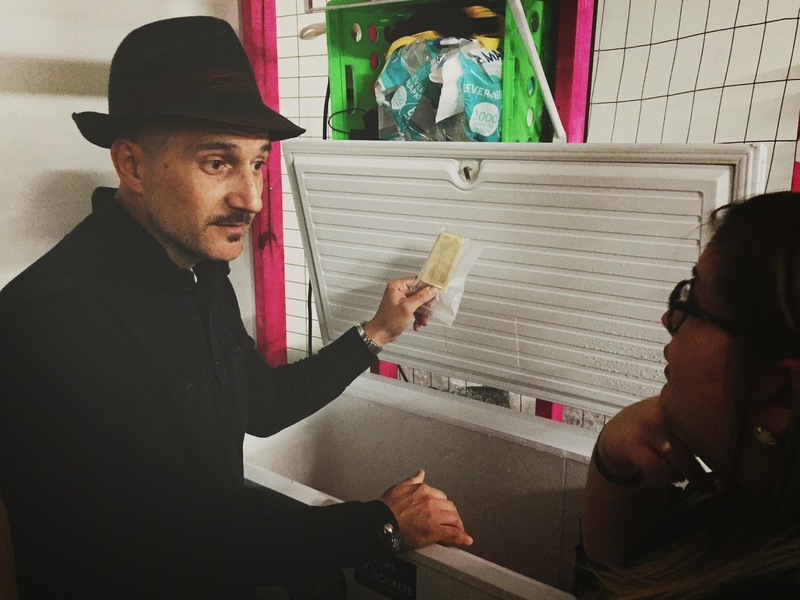 Event organizer Nick Villaume invited me to the festival and suggested that I should check out this popsicle business he and a friend started up called Pops and Rockets. He described them as "gourmet pops with an '80s music theme." "Oh hell yes," I replied. I couldn't have been more excited to be attending a craft beer event in my home town with one of my good friends/down-the-street neighbors, Anna Sprigg. Nick instructed us to find his partner Robbie Austin and have him take us to their pop-eration (my words, not his). He said his partner could better explain some of the flavors. Maybe it's because Robbie is a teacher: high school theology and college art. As well as a gourmet popsicle maker. You know, just the average day in Lake Charles. Nick had the idea to start up a gourmet pop business, but Robbie wasn't buying it. One day Robbie started thinking of '80s lyrics and pop flavors and caved into Nick's pop demands. 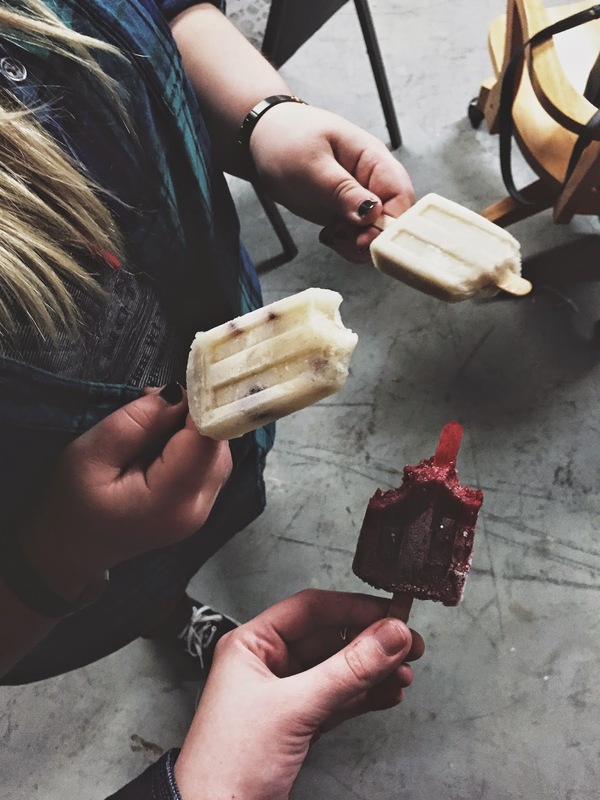 They've now sold over 5,000 pops just from pop-up business, special events, and the local farmer's market. Robbie told Anna and me all of this as he led us into a shady storage area where a tiny and brightly-colored structure stood containing deep freezers and a pasteurizer. We started opening pops and talking about flavor profiles. Co-owner of Pops and Rockets, Robbie Austin and I have a connection. The first one I tried was (Your Own) Personal Ginger made with coconut milk, ginger, and honey. Spicy, creamy, and just mind blowing-ly satisfying. While this one topped my list, the Save a Pear with spiced pear and golden raisins is my ideal Fall weather pop. Anna went to town on the Same Rosewater As You made with raspberry, cherry, and rosewater. It was super refreshing. The tartness of the berries mellowed out the floral notes of the rosewater. This one would be perfect on a hot Louisiana day. These guys aren't playing around with these pops. The flavors they're creating are very layered and complex, but don't mistake that for intimidating. Their goal is to up production of their pops to meet the demand they're faced with at farmer's markets. Check out their Facebook page in the link above to stay hip to the latest pop news.